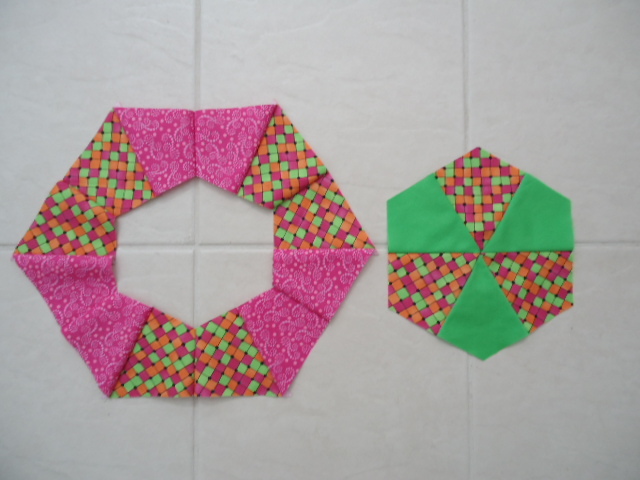 So I looked at a layout with just two rounds of kite pieces instead of five and decided that was more feasible. I cut some bright scraps to sew a test block. After making the bright block, I started down a different road and finished this little quilt last November. 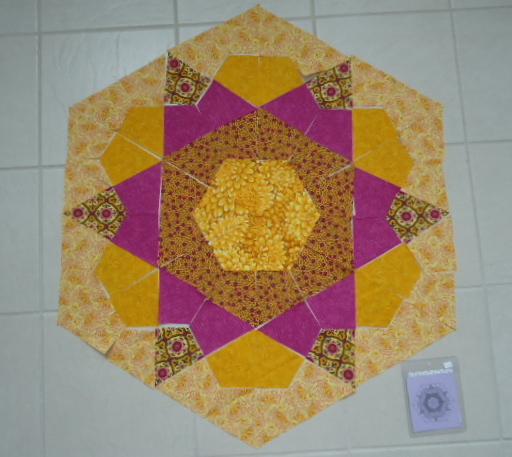 Then I picked up the purple/yellow pieces as my travel project. 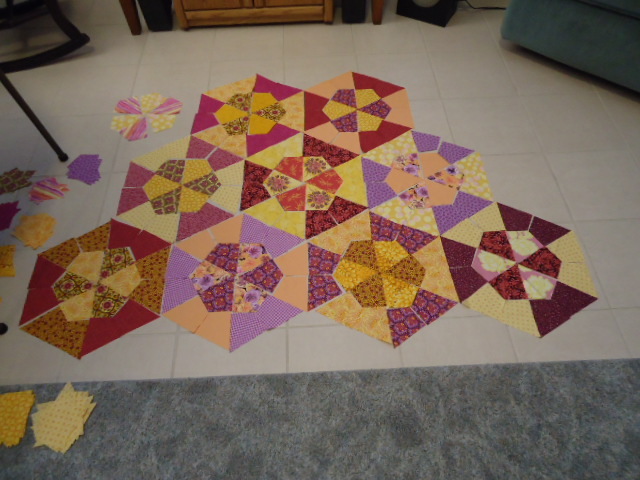 I didn’t have many blocks left to sew when I recently pulled the baggie from my suitcase so the focus changed to joining them all together. 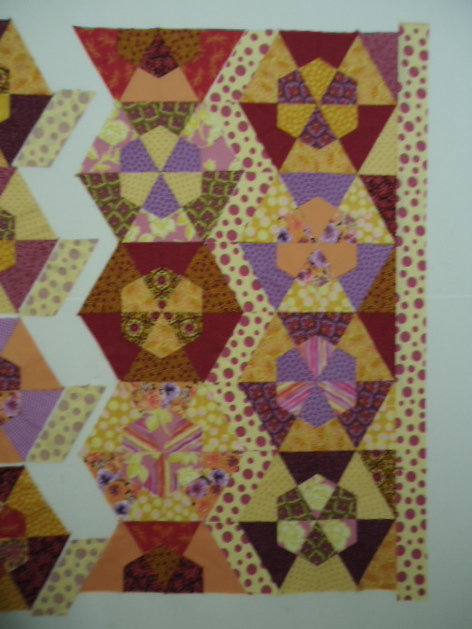 But after I got them on my design wall, I was not pleased with the look–a real de-motivator when it comes to hand piecing. 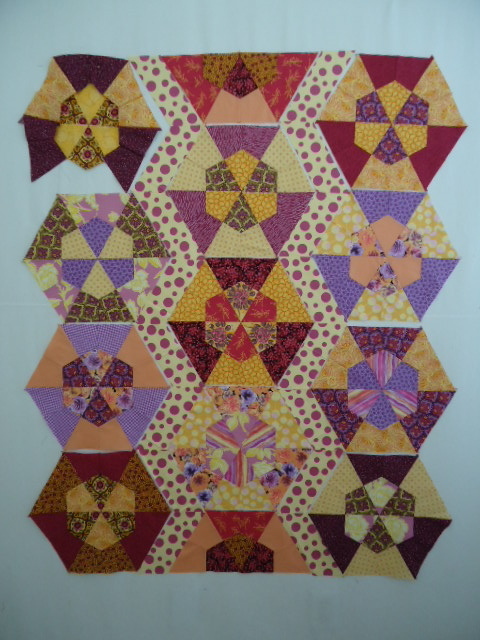 I had successfully “sashed”the bright quilt so I looked through my stash for something to make the new blocks more cohesive and I’m happy with my choice. 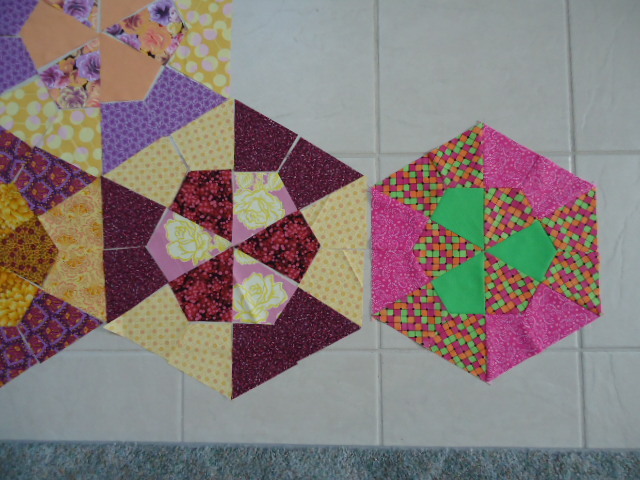 I don’t have a template for the side squaring triangles so I cut them bigger and will trim later. The border strip is only laid on top in the last photo and only one side of the “sashing” is sewn. 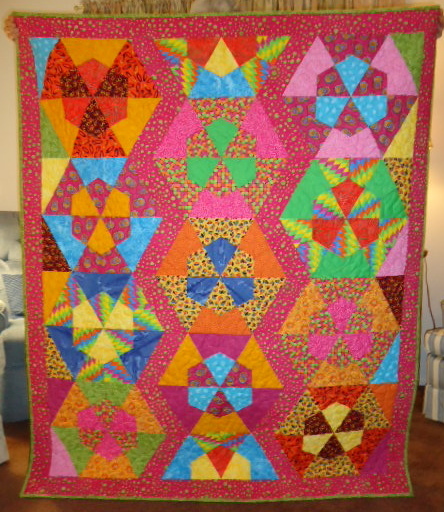 This entry was posted in hand piecing, hexagons, quilting. Bookmark the permalink. Sashing was a brilliant move. 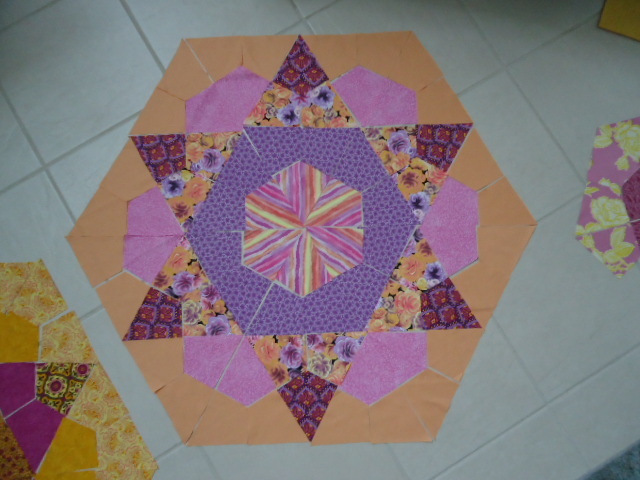 I also have a long standing hand piecing project of hexagons. The need for individual hexagons to connect the big ones is endless! Wonder I f I will ever finish it. I like the borders too, wouldn’t have thought to do that. Love the purple and yellow together! That is looking really nice. It will be worth it in the end. Your recovery sewing? Seriously? I too love the sashing! I love the sashing fabric – it adds so much movement!